Competition at the gym according to researchers at the University of Pennsylvania took more classes and exercised nearly twice as much as those who had a support team or other gym goers encouraging them to attend class. We tend to compare ourselves with people who are similar. So if we see others doing better, we want to compete! 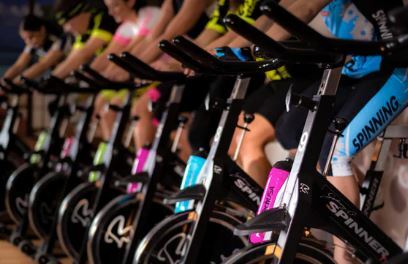 Take a Spin class where you can see everyone’s numbers up on the board, and challenge yourself to beat a friend’s (or not) best time as your train. This entry was posted in Working Out and tagged Competition at the gym, partner with a workout buddy, spin class, working out. Bookmark the permalink.